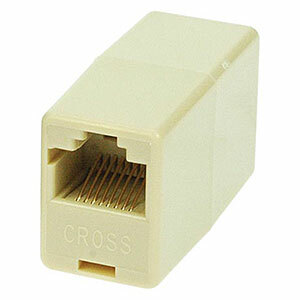 This 8P8C (RJ-45) inline coupler is wired in a reverse pattern where pin 1 connects to pin 8. Use this coupler specifically for rollover or rolled applications, such as with Cisco console terminals. Not certified to any standard, so may not be suitable for high-speed networks. Please note this is not a crossover coupler.